It's now confirmed - Microsoft's Interactive Entertainment Business President Don Mattrick is leaving the company to assume the mantle of CEO at Zynga. Don Mattrick of Microsoft has been in the public eye over the past several weeks for all the wrong reasons, but today's rumor that he's pulling up stakes is a big surprise nonetheless. According to "multiple sources close to the situation," Mattrick is leaving Microsoft just as the company is spooling up for the launch of the Xbox One, quite possible to take over top spot at struggling social gaming company Zynga. Despite the backlash against Mattrick's performance at E3, losing him at this very critical juncture is bound to be a headache for Microsoft. And if he does report for duty at Zynga, it could also be a disappointment for Electronic Arts, which is (or at least was) reportedly giving him a serious look as the replacement for former CEO John Riccitiello. The whole thing is a rumor at this point but the sources said an official announcement could come today after the close of markets. We'll update if and when we hear more. UPDATE: Zynga has now officially confirmed that Don Mattrick is joining the company as its new chief executive. The rumor that came to light earlier today regarding Don Mattrick's departure from Microsoft for the green fields of Zynga have now been made official. In a message posted on the Zynga company blog, founder and soon-to-be-former CEO Mark Pincus announced that Mattrick will in fact take over as CEO, while Pincus will stay on as Chairman and Chief Product Officer. "Over the last few months I've spent a lot of time thinking about all that we have achieved together as a company. We have pioneered social gaming and helped make Play a core part of millions of people's lives. But Zynga has so much more potential ahead, the opportunity to be an Internet Treasure and deliver on our mission of connecting the world through games," Pincus wrote. "As I reflect on the past six years, I realize that I've had the greatest impact working as an entrepreneur with product teams, developing games that could entertain and connect millions," he continued. "I've always said to Bing and our Board that if I could find someone who could do a better job as our CEO I'd do all I could to recruit and bring that person in. I'm confident that Don is that leader." 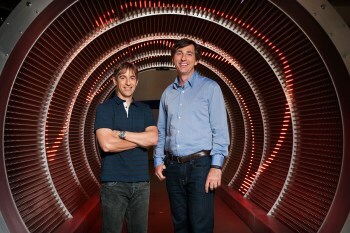 Mattrick will officially take the reins of Zynga next week.